On the occasion of the Fuorisalone, SpazioFMG per l’Architettura hosts the second event of The Architects Series, an exhibition format screening videos where famous Italian and international design studios tell us all about themselves and their approach to architecture. Its next event, on Monday 16 April at 6.30 p.m., on the opening day of the Milan Design Week, will present the Grimshaw studio of New York. The screening will be followed by a conversation with Andrew Whalley, Deputy Chairman of the studio, entitled “Equation” in which he will analyse the case history of the Sustainability Pavilion for Expo 2020 Dubai. On the occasion of the Milan Design Week, SpazioFMG per l’Architettura, the Milan showroom gallery of brands Iris Ceramica and FMG Fabbrica Marmi e Graniti, presents the second event of The Architects Series - A documentary on: Grimshaw. The Architects Series, the new 2018 project curated by The Plan magazine for SpazioFMG, will present a series of new short films revealing the philosophy of the most important international architectural studios of our times. This series of events cannot be missed by any enthusiast: indeed, the 30-minute videos screened at the showroom at Via Bergognone 27 will give us the chance to know more about the know-how of the professionals and their working methods. On 16 April 2018, the opening day of the most important design week of the year, the second video of The Architects Series will be screened at 6.30 p.m. It will illustrate the experience and approach of Grimshaw Architects, the studio funded in London by Sir Nicholas Grimshaw in 1980. The studio, with headquarters in New York, Melbourne, Sydney, Kuala Lumpur, London and Doha, employs over 500 collaborators, won over 200 international awards, and boasts an exceptional portfolio, covering all major sectors of architecture. Exploring, inventing, imagining and believing in the transforming power of architecture are the basis of this renowned international practice. Based in every continent, its offices are symbols of innovation and culture, laboratories of ideas capable to grasp the essence, challenges, opportunities and potentialities of every single project. The result is the creation of an organic architecture where shapes correspond to materials and vice versa, and of systems based on green integration, combining natural elements, green spaces and sustainable strategies. The Architects Series - A documentary on: Grimshaw enters the New York headquarters of the studio, where partners William Horgan and Mark Husser, along with Associate Principal Casimir Zdanius and Nick Solomon will guide the viewers through the prototype laboratory, the showroom and the offices, telling how these historical headquarters evolved through time and describing their current and past projects. 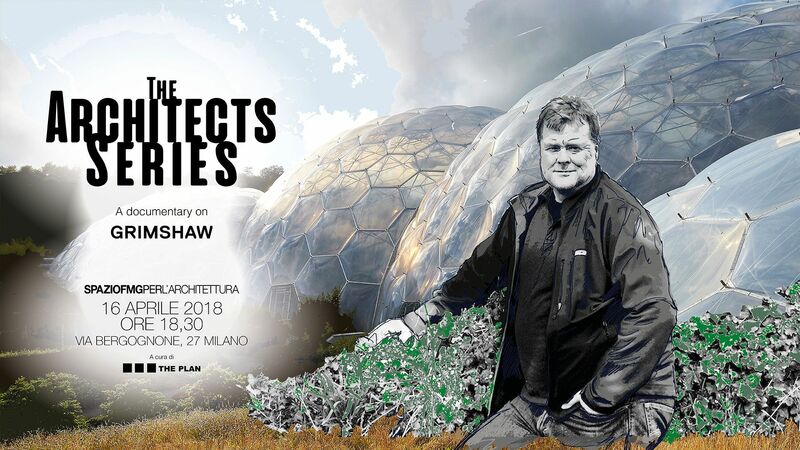 The opening event will host Andrew Whalley, Deputy Chairman of Grimshaw, who will take part in a conversation entitled “Equation”, in which he will analyse the critical role of architects in the design of sustainable spaces through the case history of the Sustainability Pavilion of Expo 2020 Dubai. Sustainability is one of the features that differentiates and characterises the Grimshaw Studio: since its creation, its founders have always invested in the experimentation of alternative materials and innovative technologies, creating new architectural visions, with a distinguished and cutting-edge design. This commitment towards the environment and a greener world is what Grimshaw share with Iris Ceramica and FMG: indeed, the two brands of Iris Ceramica Group have always invested in the research of solutions that meet green standards to protect the environment and the individual and collective wellbeing. The Architects Series - A Documentary on: Grimshaw is the second event of a series of six annual exhibitions supporting the company’s intention to be always kept up-to-date with the evolutions in the architectural world by offering a creative and cultural hub to anyone who wants to keep alive their interest for the profession and, more in general, for future design.